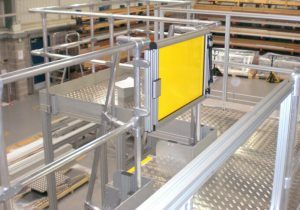 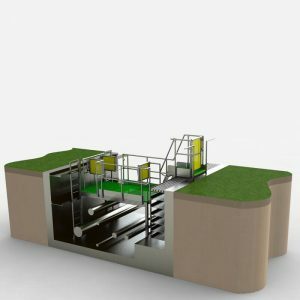 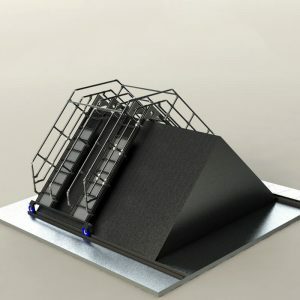 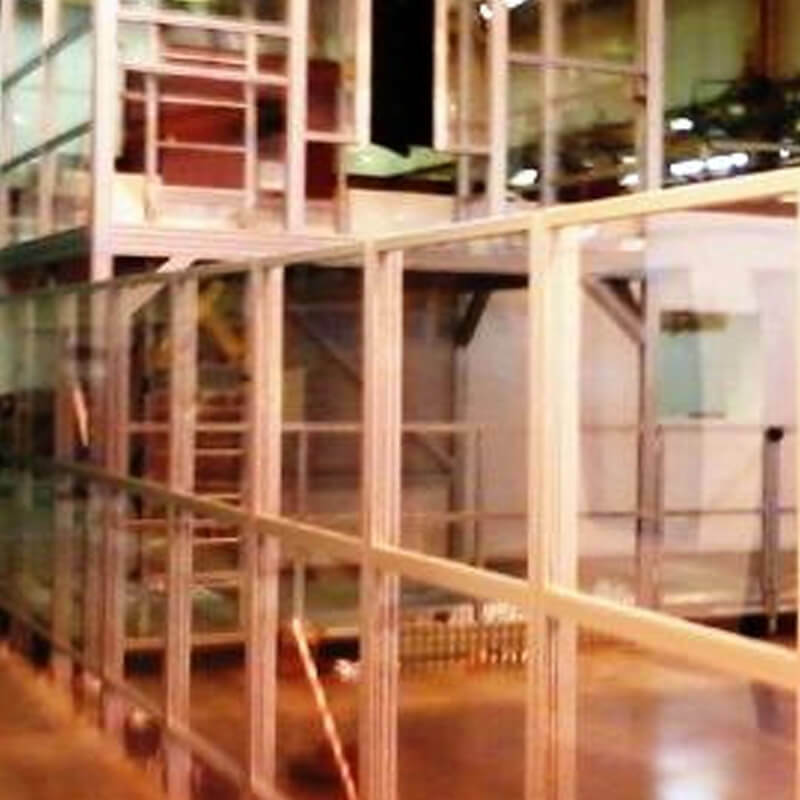 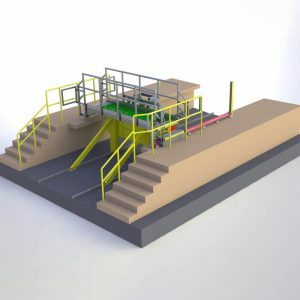 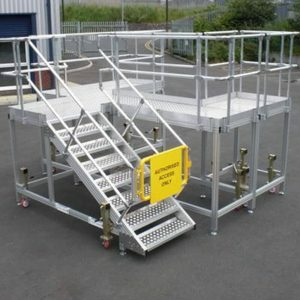 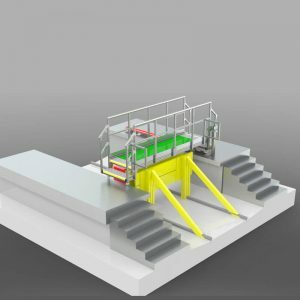 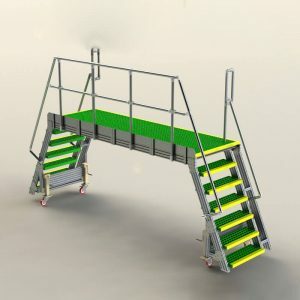 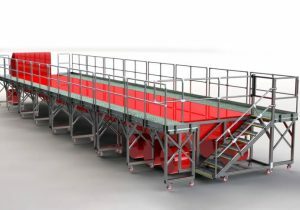 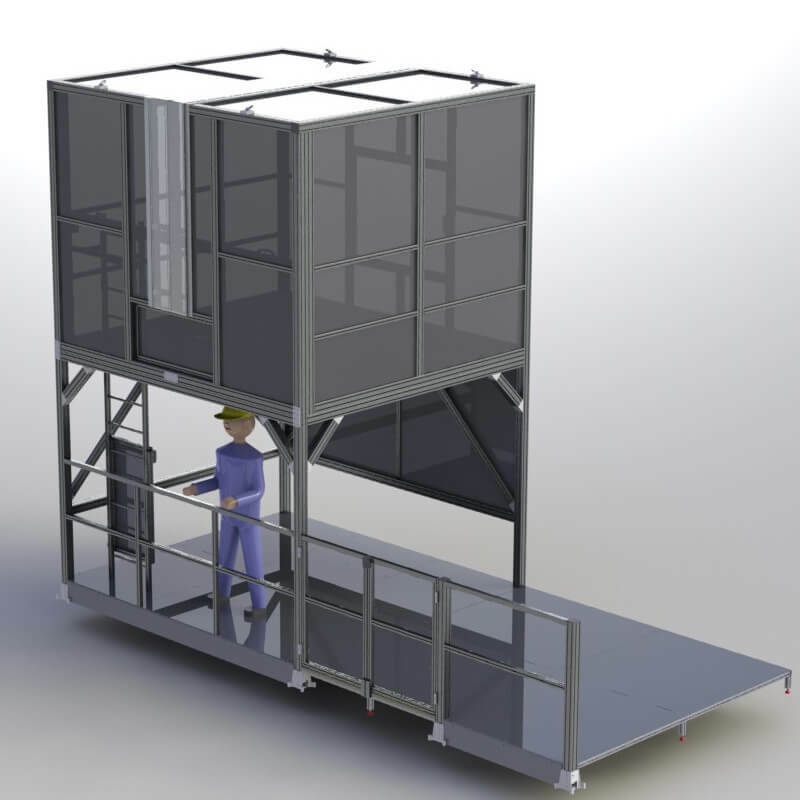 This enclosure platform was built to access pipe work at height in a training area. 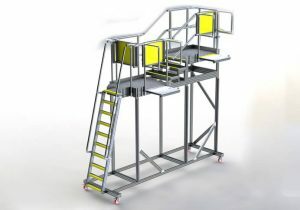 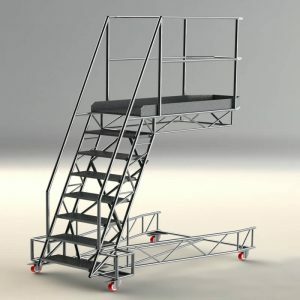 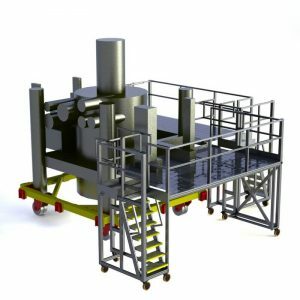 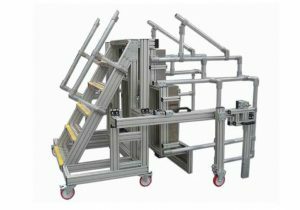 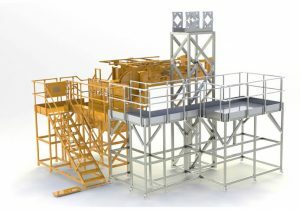 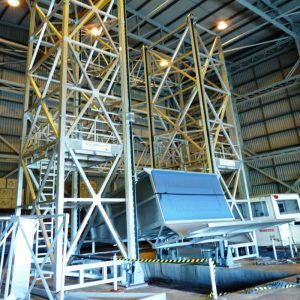 The upper work platform is required to support up to five people plus equipment. 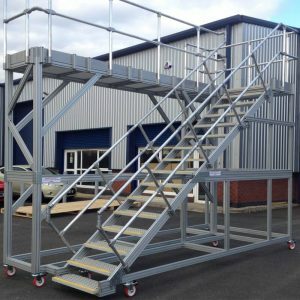 The bespoke platform was constructed using aluminium profiles and accessories.